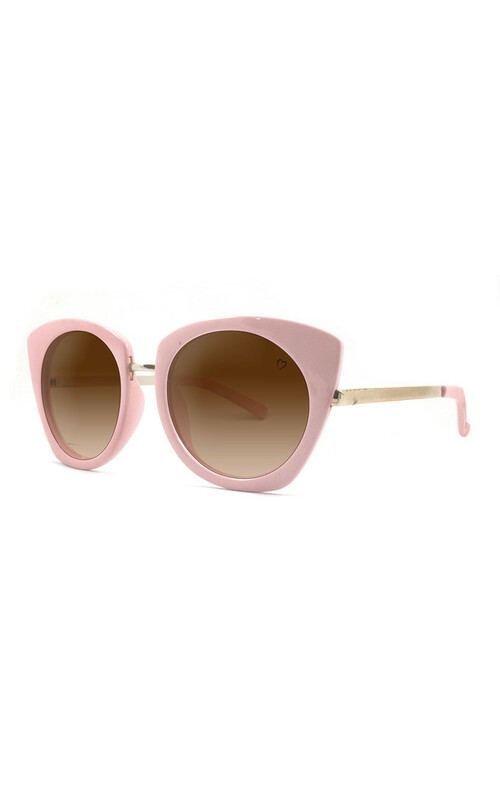 This delicately curved round cat eye comes in a soft pastel pink colour with shiny light gold temples and tips to match the frame. This style is fitted with grad brown lenses and features the RubyRocks love heart logo on the left hand lens as worn. These lenses offer maximum UVA & UVB protection.